Fall has finally arrived, which means it’s time to embrace the changing colors of the leaves, refocus our goals as the weather becomes crisp, and of course, celebrate apple season! Crisp, sweet, refreshing, and true symbol of fall, the flavor of an apple freshly picked from a tree is one of the best things on this earth! It’s time to set aside a weekend, get out of the city, and indulge in a classic fall activity: apple picking. Mercier Orchards – if you have ever traveled to north Georgia for a day trip or mountain vacation, chances are the name rings a bell. Opened in 1943 by Bill & Adele Mercier, this family-owned landmark located in Fannin County has been providing folks in the Southeast with fresh fruits and homemade goods for more than 70 years. Famous for their bakery, deli, country store and Farm Winery, Mercier Orchards is one of those places that you must visit when you come to Blue Ridge, Georgia. This is especially true if you have a sweet tooth! One of the most sought-after treats to enjoy at Mercier’s is their wide variety of pies: in fact, it’s common for the bakery to make more than one million whole pies per year, not counting their selection of fried pies, which do even bigger numbers than their larger counterparts. While visitors certainly like to indulge in all of the decadent goodies inside their country-style store, the central and perhaps most popular attraction at Mercier Orchards are the U-Pick tours that they offer on a seasonal basis. Mercier has many different kinds of fruits to gather, including Strawberries, Blackberries, Blueberries, Peaches, and Apples, with the latter being the most popular U-Pick experience. During a U-Pick tour, guests have the opportunity to hitch a ride on one of the many tractors that make rounds throughout the orchard. Operated by knowledgeable tour guides who explain the history of the 300-acre orchard, answer questions and provide tips on U-Picking, these tractors are the guest’s transportation to the desired fruit picking destination of their choice. Once guests are dropped off, they are allowed to collect fruit until their baskets are full, and their hearts are content. Visitors often use the fruit that they collect for use in jams, jellies, and various baked goods. When finished, patrons hop back on the tractor to return to the store for a quick bite to eat at the deli. To make sure day-to-day operations to run smoothly, Mercier Orchards hires a small army of employees, which often doubles during busy months. Each team member has a crucial role in maintaining the high quality of service that the orchard is know for; this includes bakers and sales clerks working in the store, to tour guides and those working on the farm, which yields roughly 75,000 bushels per year. Mercier Orchards has plenty of fun things to do and see year-round, but it is the fall season that garners the most attention. It’s not unheard of in October to see between 50 and 60 buses full of eager fruit pickers on any given day during the months of September and October. This is when Apple season is in full swing, and the air outside is as crisp as the fruit growing on the trees around the orchard, which number around 600 per acre. With 40-50 different varieties of Apples to choose from, it’s no wonder that folks flock from hundreds of miles away with the specific intention of coming to Mercier Orchards for the day. U-Pick tours are not only fun and rewarding but educational as well – a big plus for families with younger children, who may not know how much work goes into maintaining an orchard. 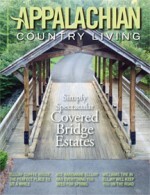 Whether you want to participate in one of Mercier’s many U-Pick tours, pick up a batch of fried pies, enjoy a hard cider tasting, or simply take an afternoon drive to visit one of north Georgia’s most sought-after destinations, Mercier Orchards is the perfect place to enjoy the Blue Ridge Mountains. Make sure to plan ahead and arrive early if you are want to joining a U-Pick tour! 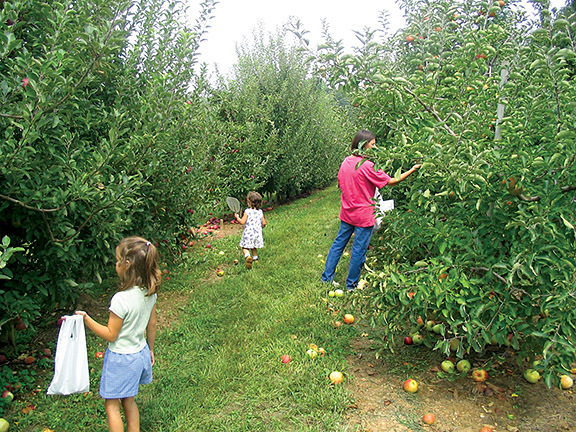 Mercier Orchards is a family owned and operated apple orchard now in it’s 4th generation. Started back in 1943 by Bill & Adele Mercier, Mercier Orchards is now celebrating 70+ years of fruitful harvest! The combination of our U-PICK events, Bakery & Deli, Market Store, and now our Farm Winery makes us a great choice for a day trip by yourself or with the family! Spend the day experiencing what makes us unique! We’re constantly improving our products and our store to give you the best experience that we can possibly offer.